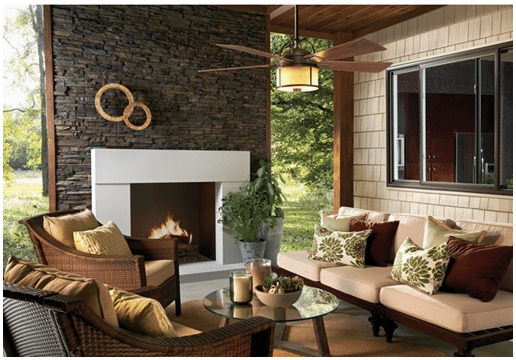 Outdoor fans have become popular as our lifestyle has expanded to include the outdoors. 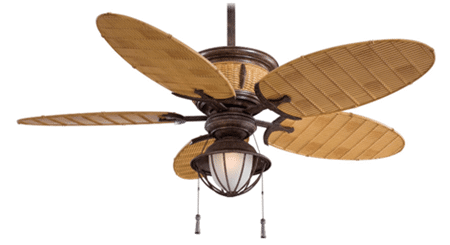 We will look at how paddle fans work and what constitutes an outdoor versus indoor fan. Then I will show you a few fans to consider. 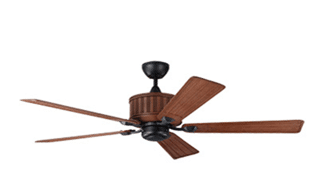 Fans do not lower the actual temperature, but the perceived temperature. Think about wind chill. The weather may be 31 degrees in winter, but the wind will make it seem much colder. 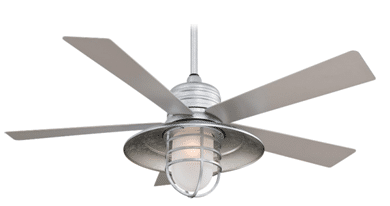 Fans work the same way as the breeze from the fan will lower your perception of temperature. 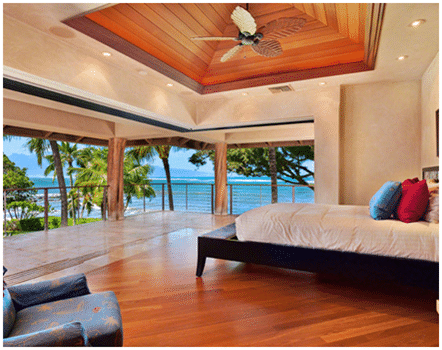 In the winter, you should reverse the fan so the rising heat will be redistributed back towards the floor. 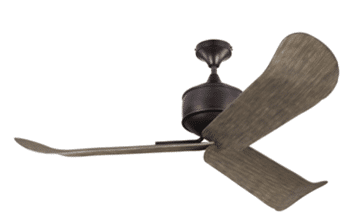 How is a Fan Rated for Outdoors? 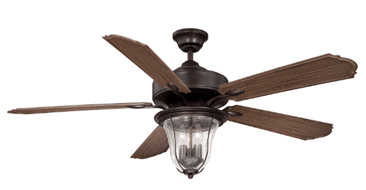 An outdoor fan is different from other fans because the motor is sealed from the elements. 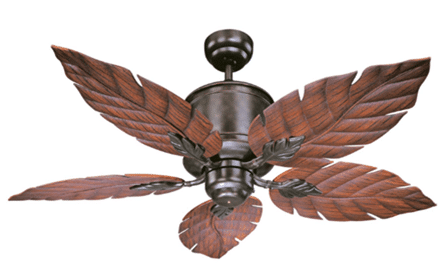 A regular fan will rust and corrode if left outside. 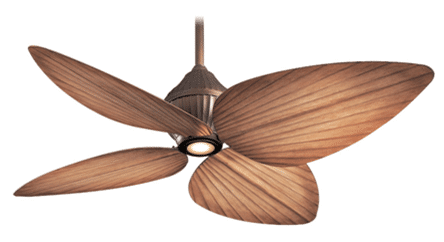 Also, the blades are weather proof ABS plastic, so they will not rot like wood. 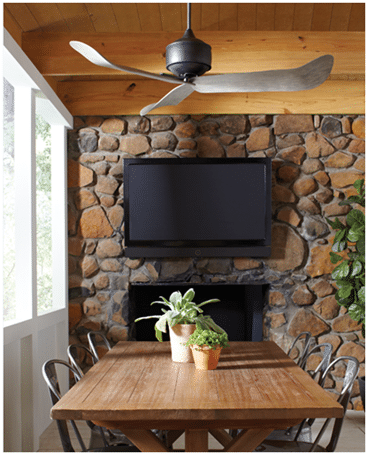 Outdoor paddle fans not only help keep you cool in the summer but they also keep insects away from the table while you’re eating. The strong breeze is a deterrent for flies that hover around your food. To me that feature alone is worth putting one over every outdoor table! 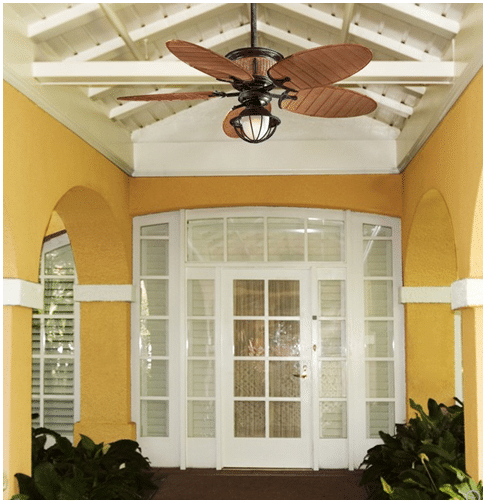 There is nothing more welcoming than a southern charm paddle fan at the entrance of a home. 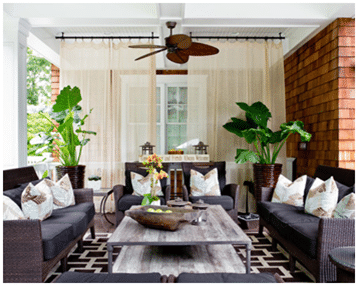 Fans don’t all have to remind us of island living but can be quite modern and add the right touch to any outdoor living space. They come in many styles, finishes and sizes. 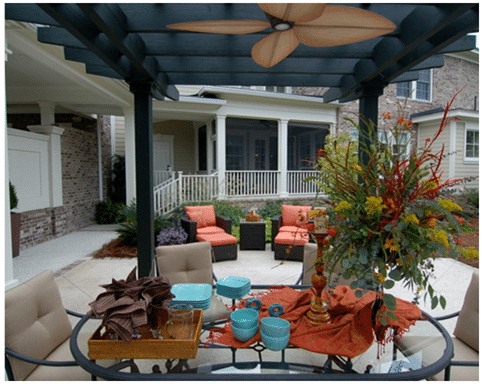 A rustic or charming cottage style is very popular when designing outdoor living in New England. Comes in 2 finishes and has an optional light. This will add a little more sophistication to your porch. 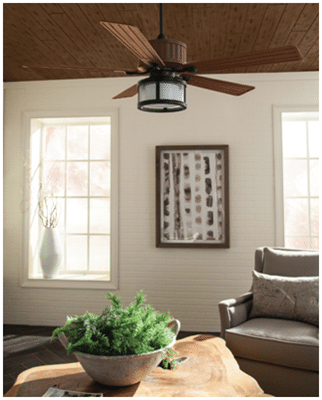 A paddle fan should complement the style of your space as much as the furniture. Features a "trash can" aluminum finish. 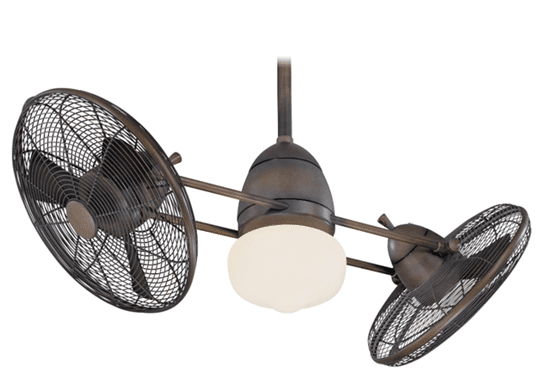 With its industrial spirit, this fan provides maximum air movement and directional flexibility. You can buy almost every style for the outside from retro to contemporary. 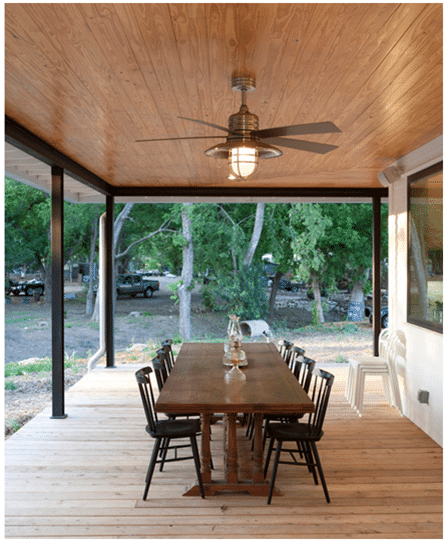 Just remember only a fan designed for the outside can be placed there. Get our free Kitchen Lighting Buying Guide with tips, trends and more. Over 180,000 people have already found answers in a Yale guide.